Bone, S.A., Lemon, K.N., Voorhees, C. M., Liljenquist, K.A., Fombelle, P.W., DeTienne, K.B., and Money, B.R. (2017) “Mere Measurement “Plus”: How Solicitation of Open-Ended Positive Feedback Influences Customer Purchase Behavior,” Journal of Marketing Research. Fombelle, P.W., Bone, S.A., and Lemon, K.N. 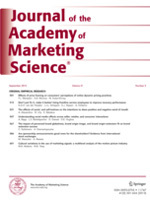 (2016) Responding to the 98%: face-enhancing strategies for dealing with rejected customer ideas,” Journal of the Academy of Marketing Science, 1-22. Voorhees, C.M., Fombelle, P. W., Gregoire, Y., Bone, S. A., Gustafsson, A., Sousa, R., and Walkowiak, T. (2017) "Service encounters, experiences and the customer journey: Defining the field and a call to expand our lens," Journal of Business Research. Bone, S.A., Lemon, K.N., Liljenquist, K.A., Fombelle, P.W., Voorhees, C., DeTienne, K.B., Money, R.B. (2016) “When Saying is Believing: How Solicitation of Feedback Influences Customer Repurchase Intentions and Behavior,” Journal of Marketing Research. Snyder, H., Witell, L., Gustafsson, A., Fombelle, P., & Kristensson, P. (2016). Identifying categories of service innovation: A review and synthesis of the literature. Journal of Business Research, 69(7), 2401-2408. Witell, L., Snyder, H., Gustafsson, A., Fombelle, P., & Kristensson, P. (2016). Defining service innovation: A review and synthesis. Journal of Business Research, 69(8), 2863-2872. Hill, K., Fombelle, P.W., and Sirianni, N. (2016), “Shopping under the influence of curiosity: How retailers use mystery to drive purchase motivation,” (Best Paper Award in Consumer Behavior and Psychology Track at 2013 American Marketing Association Summer Educator’s Conference), Journal of Business Research, 69(3), 1028-1043. Bone, S.A., Fombelle, P.W., Ray, K.R., and Lemon, K.N. (2015) How Customer Participation in B2B Peer-to-Peer Problem-Solving Communities Influences the Need for Traditional Customer Service,” Journal of Service Research, 18 (1), 23-38. Featured in: CSL Blog http://wp.me/p3C2XT-em. (Best Practioner Paper at Frontiers in Service Conference 2011). Fombelle, P.W., Cialdini, R., Sirianni, N., and Goldstein, N. (2015), “The VIP Phenomenon: The Role of Social Comparison in Status-Oriented Experiences,” Journal of Business Research,68(9), 1987-1996. Vorhees, C., Fombelle, P.W., Allen, A., and Bone, S.A. (2014), “Managing Post-Purchase Moments of Truth: Leveraging Customer Feedback to Increase Loyalty.” MSI Reports, Report No. 14-115, Marketing Science Institute, Cambridge, MA. Summarized in Insights from MSI, the MSI practitioner newsletter sent to over 20,000 managers and executives, 2015 Issue #1. Fombelle, P.W., Jarvis, C.B., Ward, J., and Ostrom, L. (2012), “Leveraging Customers’ Multiple Identities: Identity Synergy as a Driver of Organizational Identification,” Journal of the Academy of Marketing Science, 40(4), 587-604. Beckers, S., Bone, S.A., Fombelle, P.W., Van Doorn, J., Verhoef, P.C., and Ray, K.R., “Happy Users, No New Contracts: How Operating a Customer Support Community Impacts Level of Loyalty,” Accepted as Book Chapter in Customer Engagement Marketing. V.K. Kumar, Robert Palmatier, and Colleen Harmeling, Forthcoming. Fombelle, P.W., Thompson, S., Brady, M., Ray, K., Bone, S.A., “Cliffs of Dissatisfaction: The Effect of Introducing Technology- Based Innovations on Service Employees & Customers,” Submitted for 1st round at Marketing Science, 12-2016. Fombelle, P.W., Voorhees, C., Bone, S.A., and Allen, A., “Managing Post Purchase Interactions: Leveraging Customer Feedback to Strengthen Relationships and Increase Customer Spending,” Submitted for 1st round at Journal of Marketing, 12-2016. Fombelle, P.W., Voorhees, C., and Baker, T.L., “Understanding Consumers’ Processing of Online Review Information,” Submitted for 1st round at Journal of Service Research, 9-2016. Fombelle, P.W., Gustafsson, A., Witell, L., Lofgren, M., and Voorhees, C., “Strings Attached: The Financial Outcome of Gratitude and Obligation in Firm Gift Giving,” Preparing Manuscript for Marketing Science. 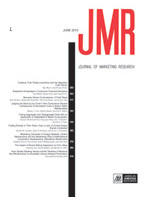 Tignor, S.M., Fombelle, P.W., and Sirianni, N., “Looking beyond the short-term in the study of consumer self-regulation: A trait affective model of sustained self-regulation and habit formation” Preparing Manuscript for Journal of Marketing Research. Tignor, S.M., Fombelle, P.W., and Sirianni, N., “Fun Made Me Do It! Transforming Consumer Well-Being Through Serious Play,” Preparing Manuscript for Marketing Science. Mouth,” Data Collection. Targeted at Journal of Marketing. Innovate Social Science Research: Security Implication From Learning and Communication in Online Communities. Data Collection. Grinstein, A., Fombelle, P.W. Consumer Well-Being: working to extend my work in TSR/TCR. Kris, L., Fombelle, P.W., Voorhees, C., and Baker, T.L. 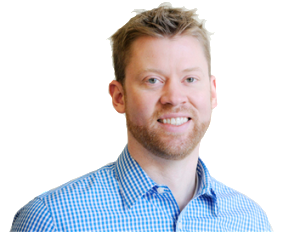 Understanding the impact of consumer regret in decision making. Jarvis, C., Hill, K., and Fombelle, P.W. Reliability Generalization: a meta-analytic look at how a critical construct in services is operationalized and how the results from that measurement model vary across studies. Data analysis. Fombelle, P.W. (Co-Principal), Brady, M. (Co-Principal), Bone, S.A. (Co-Principal), "Oracle- Service Innovation Implementation and the Voice of the Employee", Oracle & The Center for Services Leadership. Funded by Oracle - $45,000- 2014. Fombelle, P.W., Voorhees, C., Bone, S.A., and Allen, A., “Managing Post-Purchase Moments of Truth: Leveraging Customer Feedback to Increase Loyalty.” In partnership with Darden Restaurants. Funded by MSI Grant- $6,500- 2012. Fombelle, P.W. (Co-Principal), Lemon, K.N. (Co-Principal), Bone, S.A. (Co-Principal), "Oracle Online Community Engagement", Oracle & The Center for Services Leadership. Funded by Oracle - $50,000 -2011. Tignor, S.M., Fombelle, P.W., and Sirianni, N. “Proud When I do, Guilty When I Don’t: Leveraging the Self-Conscious Emotions to Improve Consumer Well-Being,” Frontiers in Service, Bergen, Norway, June 2016. Minority Influence Associated with Online Reviews,” 2016 Winter AMA Educators' Conference, Las Vegas, NV, February 2016. Fombelle, P.W., Bone, S.A., Thompson, S., Brady, M., Ray, K., “Cliffs of Dissatisfaction: The Effect of Introducing Technology- Based Innovations on Service Employees & Customers,” Summer American Marketing Association Summer Educators’ Conference, Chicago, IL, August 2015. Tignor, S.M., Fombelle, P.W., and Sirianni, N. “Fun Made Me Do It: Transforming Consumer Well-Being Through Serious Play",” Frontiers in Service, San Jose, CA, June 2015. Tignor, S.M., Fombelle, P.W., and Sirianni, N. “Fun Made Me Do It: Transforming Consumer Well-Being Through Serious Play",” Association for Consumer Research, Baltimore, MD, October 2014. Ray, K., Fombelle, P.W., Bone, S.A., Thompson, S., Brady, M., “Cliffs of Dissatisfaction: The Effect of Introducing Technology- Based Innovations on Service Employees & Customers,” Frontiers in Service, Miami Florida, June 2014. *2014 Best Practitioner Paper. Ray, K., Fombelle, P.W., Bone, S.A., Thompson, S., Brady, M., “The Effect of Introducing Technology Based Innovations on Employees & Customers,” Servsig, Thessaloniki, Greece, June 2014. Hill, K., and Fombelle, P.W., “The Uninformed Consumer: Using Curiosity to Elicit Word of Mouth, and Purchase Intentions,” American Marketing Association Summer Educators’ Conference, Boston, MA, August 2013. *Best Paper Award in Consumer Behavior and Psychology Track. Tignor, S.M., Fombelle, P.W., and Sirianni, N. “Co-creating Fun: Improving Consumer Well-being through Teamwork and Enjoyment,” American Marketing Association Summer Educators’ Conference, Boston, MA, August 2013. Beckers, S., Bone, S.A., Fombelle, P.W., and Ray, K., “Help Yourself, but Share with Others: How Operating a B2B Customer Support Community Can Build Firm Level Loyalty,” International Research Symposium on Service Excellence Management, QUIS 13, Karlstad, Sweden, June 2013. Hill, K., and Fombelle, P.W., “The Uninformed Consumer: Using Curiosity to Elicit Word of Mouth, and Purchase Intentions,” International Research Symposium on Service Excellence Management, QUIS 13, Karlstad, Sweden, June 2013. Snyder, H., Gustafsson, A., Fombelle, P.W., Witell, L., and Kristensson, P., “What is Service Innovation” Naples Service Forum, Ischia, Italy, June 2013. Fombelle, P.W., Voorhees, C., Bone, S.A., and Allen, A., “Managing Post-Purchase Moments of Truth: Leveraging Customer Feedback to Increase Loyalty” American Marketing Association Winter Educators’ Conference, Las Vegas, Nevada, February 2013. Baker, T.L., Fombelle, P.W., and Vorhees, C. “Understanding Consumers’ Processing of Online Review Information,” AMA SERVSIG 2012 International Service Research Conference, Hanken School of Economics, Hlesinki, Finalnd, June 2012. Beckers, S., Bone, S.A., Fombelle, P.W., and Ray, K., “How Does a B2B Customer Support Community Influence Customer Loyalty and Future Customer Engagement?” Frontiers in Service, Bethesda, Maryland, June 2012. Gustafsson, A., Fombelle, P.W., Witell, L., and Kristensson, P., “Unleashing Innovation and Learning Service Innovation” Frontiers in Service, Bethesda, Maryland, June 2012. Thompson, S., Loveland, J., and Fombelle, P.W., “Thematic Discrepancy Analysis: Gaining Insights to Target Lurkers,” American Marketing Association Winter Educators’ Conference, St. Petersburg, Florida, February 2012. Baker, T.L., Fombelle, P.W., Voorhees, C., Yopchik, J.E. “Understanding Consumers’ Processing of Online Review Information,” International Research Symposium on Service Excellence Management, QUIS 12, Ithaca, NY, June 2011. Bone, S.A., Fombelle, P.W., and Lemon, K.N., “Cross-Channel Participation of B2B Customers in Online Support Communities and its Influence on Loyalty and Repurchase,” International Research Symposium on Service Excellence Management, QUIS 12, Ithaca, NY, June 2011. Fombelle, P.W., Gustafsson, A., Lofgren, M., Witell, L., “The Influence of a Small Gift and Personal Greeting on the Customer Experience,” International Research Symposium on Service Excellence Management, QUIS 12, Ithaca, NY, June 2011. Fombelle, P.W., Bone, S.A., Lemon, K.N., “Suggestions are Welcome: Provider Response to Unsolicited Feedback,” AMS Annual Conference, Academy of Marketing Science, Coral Gables, Florida, May 2011. Bone, S.A., Fombelle, P.W., and Lemon, K.N., “’Customer, Will You Marry Me?’ Engaging Customers through Company and Peer Responses to Customer Ideas in a Social Media Environment,” American Marketing Association Winter Educators’ Conference, Austin, Texas, February 2011. Bone, S.A., Fombelle, P.W., and Lemon, K.N., “Thumbs Up or Thumbs Down: How Do Responses to User-Generated Ideas in a Social Media Environment Influence Customer Advocacy and Repurchase Behaviors?,” Frontiers in Service, Karlstad, Sweden, June 2010. Fombelle, P.W., Gustafsson, A., Witell, L., “Give and Thou Shall Receive: Customer Reciprocity in Retail Setting,” Frontiers in Service, Karlstad, Sweden, June 2010. Fombelle, P.W., Bone, S.A., Lemon, K.N., and Ward, J., “Thanks, But No Thanks: The Impact of Provider Responses to Customer Advice on Customer Advocacy,” SERVSIG AMA, Porto, Portugal, June 2010. Fombelle, P.W., Bone, S.A., Lemon, K.N., and Ward, J., “Thanks, But No Thanks: The Impact of Provider Responses to Customer Advice on Customer Advocacy,” American Marketing Association Winter Educators’ Conference, New Orleans, Louisiana, February 2010. Fombelle, P.W., Bone, S.A., Ward, J., Kay Lemon, and Fine, H., “Suggestions are Welcome: Provider Responses to Unsolicited Advice Feedback,” Frontiers in Service, Honolulu, Hawaii, October 2009. Fombelle, P.W., Jarvis, C.B., Ward, J., Ostrom, L., and Sinha, R. (2009), “Multiple Identities: Identity Overlap and Synergy as Drivers of Organizational Identification.” Emerging Perspectives in Services Research: Runner-Up of the ‘Fisher IMS and AMA SERVSIG Dissertation Proposal Competition, Runner-up, Winter AMA Conference, Tampa, Florida, February 2009. Fombelle, P.W., Cialdini, R., and Goldstein, N., “The VIP Phenomenon: The Role of Social Comparison in Status-Oriented Experiences,” The Society for Consumer Psychology, San Diego California, February 2009. Fombelle, P.W., “Multiple Identities: Identity Overlap and Synergy as Drivers of Organizational Identification,” Southwest Doctoral Consortium, Houston, Texas, April 2008. Fombelle, P.W., Cialdini, R., and Goldstein, N., “The VIP Phenomenon: Can I Be Special Too?, International Research Symposium on Service Excellence Management, QUIS 10, Orlando Florida, June 2007. Fombelle, P.W., and Bolton, R., “Organizational Identity: Maximizing a Member’s Value to the Organization,” Sales force and Relationships track at the 2007 Winter AMA Conference, San Diego, California, February 2007. Fombelle, P.W., and Laidler-Kylander, N. “2006 AMA Nonprofit Marketing Conference Summary,” with, AMA Nonprofit Marketing Conference, July 2006. Fombelle, P.W., Voorhees, C., Bone, S.A., and Allen, A., “Managing Post Purchase Interactions: Leveraging Customer Feedback to Strengthen Relationships and Increase Customer Spending,” Marketing Science Institute Trustees Meeting, San Francisco, November 2016. Beckers, S., Bone, S.A., Fombelle, P.W., Verhoff, P., and Ray, K., “Happy Users, Grumpy Bosses: How B2B Customer Support Channels Impact User and Upper Management Satisfaction,” Thought Leaders in Customer Engagement and Customer Relationship Management Conference, MSI, HEC Paris, June 2015. Voorhees, C., Fombelle, P.W., Bone, S.A., and Allen, A., “Managing Post Purchase Interactions: Leveraging Customer Feedback to Strengthen Relationships and Increase Customer Spending,” MSI, HEC Paris, June 2015. Beckers, S., Bone, S.A., Fombelle, P.W., and Ray, K., “How Does a B2B Customer Support Community Influence Customer Loyalty and Future Customer Engagement?” Positive Marketing Conference, New York City, New York, November 2012. *2012 Best Positive Marketing Paper Finalist. Fombelle, P.W., Bone, S.A., and Lemon, K.N., “Work Smarter Not Harder: How Customer Participation in B-2-B Online Support Communities Influences Their Need for Service,” HEMA Research Group Talk, Helsinki, Finland, June 2012. Fombelle, P.W., Bone, S.A., and Lemon, K.N., “Work Smarter Not Harder: How Customer Participation in B-2-B Online Support Communities Influences Their Need for Service,” Center for Service Leadership Annual Meeting, Phoenix, AZ, January 2012. Georgia State University Marketing Roundtable, October 2010. Ph.D. Project, AMA Summer Conference, Keynote Speech, Boston, August 2010. Singapore Management University Institute of Service Excellence Conference, July 2010. University of Arizona Eller College of Management, Tucson, AZ, March 2010. Center for Services Leadership Board and Fellows Meeting, Phoenix, AZ, February 2010.